High school football is king in Texas. That was clear on Saturday when 54,347 fans attended the Class 5A Division I state championship between Allen and Pearland at AT&T Stadium — home of the Dallas Cowboys. That’s more fans than the capacity of TCU and SMU’s home stadiums in the Dallas-Fort Worth Metroplex. If that isn’t proof enough of the passion for high school football in Texas, there were 54,305 fans at the Miami Dolphins vs. Buffalo Bills game on Sunday. 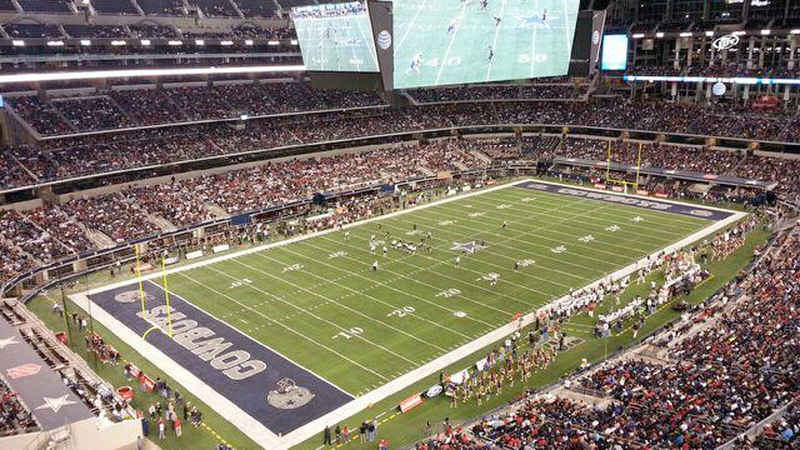 Yes, there were more people at a high school football game than a NFL game. The previous Texas high school football attendance record stood for 36 years. There were 49,953 at the 1977 4A state championship game. Even FOX Sports’ Cleatus was part of the record-breaking crowd.